Dr. Jacquelene Childs, M.D. is a Detroit area native who attended U of M Dearborn undergraduate and Rosalind Franklin University Chicago Medical School. She trained at the Advocate Lutheran General Family Medicine Residency in Chicago. She is board certified in Family Medicine. Her particular areas of ... Read More interests include children's and women's health, including obstetrics. When she is not working she enjoys playing with her kids, spending time outdoors and reading. 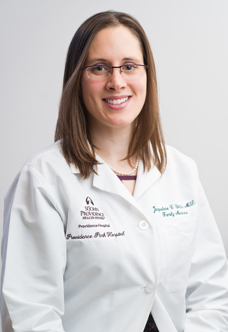 Jacquelene Childs, MD offers services at multiple MI locations.